This is the only authorized load we carry. Tight groupings and minimal spread mean we can engage at longer range if needed. I run the Benelli M4. If you replace the Modified choke with a Cylinder choke and run Federal 00 Buck Flight Control you will achieve tighter patterns out to 25 yards decreasing the likelihood of collateral damage. This combination will serve you well. If you're looking for a "spreader load", this is not your buckshot! If you're looking for a "spreader load", this is not your buckshot! 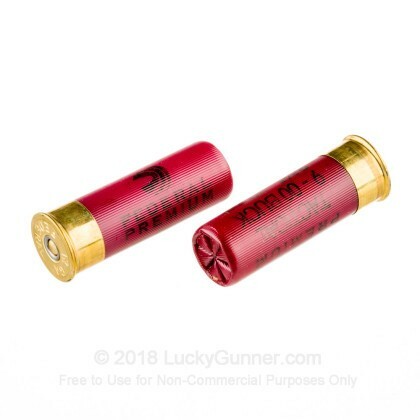 However, if you're looking for a buckshot load to increase the range, power, and overall effectiveness is your tactical shotgun, this is you buckshot load! Recoil is very manageable, and patterns look more like groups than patterns, insanely tight! 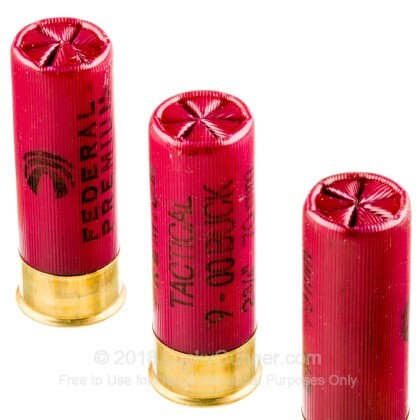 I have the eight pellet & the nine pellet, no practical difference; Federal Tactical LE is the only buckshot load I need! As usual, LuckyGunner's Team also gets a five-star rating! Used a case in a 2-day tactical match with my son. We both used modified Saigas. The Federal FliteControl Buckshot worked exceptionally well - cycled flawlessly through assorted stick and drum magazines. Patterning was incredibly tight - which is what I was looking for. The primary reason I purchased this ammo was for this match as there are often small heavy steel targets at 40+ yards that must fall to score. The tight patterns required a bit more accuracy on our part, but all targets were authoritatively knocked down (in previous years, I was forced to leave some targets standing in frustration after engaging them with 10+ rounds of buck from another manufacturer as I could not get sufficiently tight patterns at the longer range targets). Note that this buckshot seems to prefer more open chokes - patterns opened up as I used tighter chokes (internal Rem Chokes on one Saiga, Polychoke on the other). So I imagine this would be just the ticket for those with fixed cylinder bore barrels. When patterning with the more open chokes, all 9 pellets would stay within 2-3" at 15 yards, and I could observe a tight pattern (maybe 12" or so) at 60 yards when they impacted the berm behind the patterning target. Great rounds. Enough power but not overkill, able to handle the weapon through entire magazine. The pattern of the Federal was noticeably and significantly tighter that the Remington Law Enforcement Reduced Recoil (PR12BK8-00) from 7 - 15 yards. There was a noticeable (but not significant) increase in recoil with the Federal as compared to the Remington. I used a Scattergun Technologies Border Patrol shotgun for my tests. Overall the tighter pattern outweighs to slight increase in recoil. 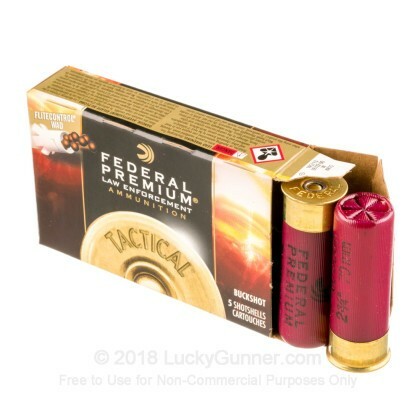 Using this ammo in a Benelli M2 Tactical. Cycles well. I was using Hornady Tactical 00 buck low recoil which would not cycle. Then I tried Hornady Critical Defense 00 Buck. The recoil and muzzle rise were horrible! So I switched to Federal. It works every time and destroys targets! Recoil and muzzle rise are much more manageable for follow up shots. Flight control wad keeps the pattern nice and tight. Costs a little more but worth it! used this stuff for a 4 day tactical shotgun class and it is awesome. Q: Would these be a good combo for a Benelli M4? 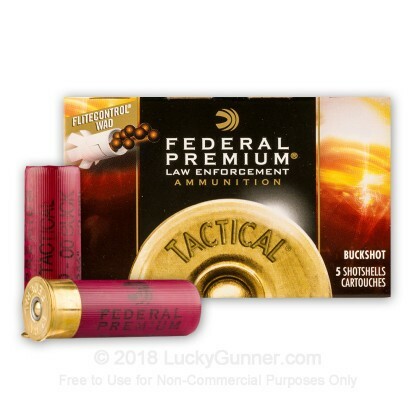 A: That Federal Buckshot will do great for your Benelli shotgun. It should be very reliable during cycling and the FliteControl wad used make this patter exceptionally well at longer distances. 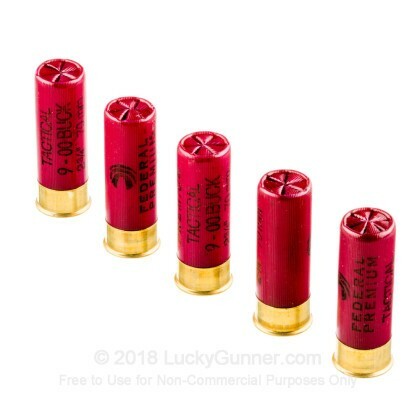 Q: I'm trying to find a buck shot load that will pattern well in my Cheetah, so I want to try out several different types of ammo before I buy larger quantities of it. Do you sell this by the box, rather than by the case? Q: will these cycle in a Mossberg 930 semi auto ? A: Yes, these will work fine in most semi-auto shotguns. Q: Are these only for use in a cylinder bore barrel? I have a Mossberg 835 with a modified choke. A: Hello Jimmy, Yes, you can shoot these 2 3/4" 00buck shells in 12ga. by Federal in your Mossberg with a modified choke. The modified choke is a good combination for 00buck and your patterning should be good with them. We also have this 12 Gauge - 2-3/4" 00 Buck 9 Pellets - Federal Tactical LE with FliteControl Wad - 5 Rounds ammo in stock in a smaller quantity.